Geological Society (London, U.K.) ; Smith, D. G. ; Bailey, R. J. ; [et al.] Burgess, P. M. ; Fraser, A. J. Description / Table of Contents: The superposition of stratified rocks is an unmistakable manifestation of the history of sedimentary processes through deep time. However, the relationship between the preserved strata of the rock record and the passage of geological time, indisputable in principle, is unknowable in detail; incompleteness is an essential property of the record. That gaps exist at all scales in sedimentary successions is easily demonstrated from consideration of sediment accumulation rates, and expectations of continuity and completeness at any scale are correspondingly inadvisable. Locating and quantifying the gaps in the record is, however, very much less straightforward. Predictive modelling of strata – essential for their practical exploitation – requires such geohistorical understanding, yet over-simplified assumptions about how time is represented in rock can still lead to inadequate or even false conclusions. The contributions to this volume describe a range of practical studies, theoretical investigations, and numerical experiments in which the nature of the strata–time relationship is explored. Description / Table of Contents: Satellite positioning techniques, particularly global navigation satellite systems (GNSS), are capable of measuring small changes of the Earths shape and atmosphere, as well as surface characteristics with an unprecedented accuracy. 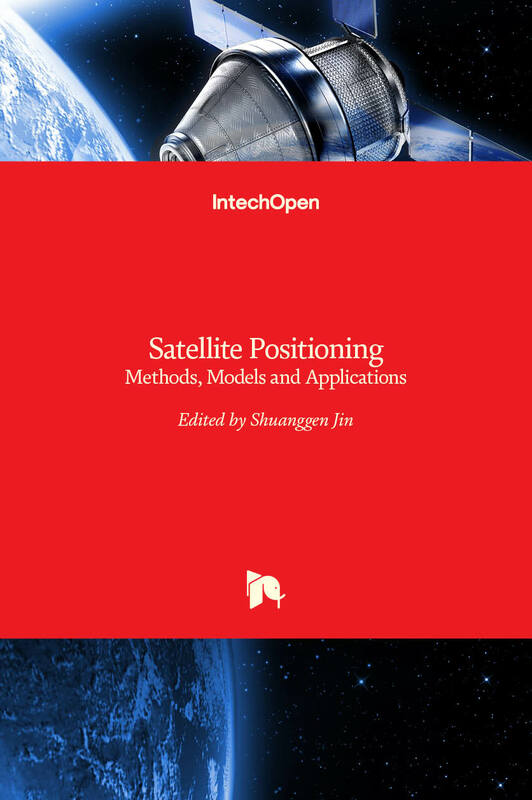 This book is devoted to presenting recent results and development in satellite positioning technique and applications, including GNSS positioning methods, models, atmospheric sounding, and reflectometry as well their applications in the atmosphere, land, oceans and cryosphere. This book provides a good reference for satellite positioning techniques, engineers, scientists as well as user community. 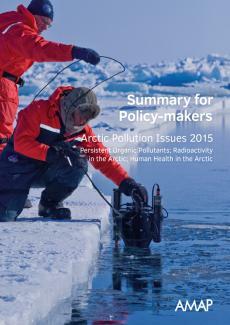 Description / Table of Contents: This document presents the Policy-makers Summary of the 2015 AMAP Assessments of Pollution Issues (POPs Trends; Radioactivity in the Arctic; Human Health in the Arctic). 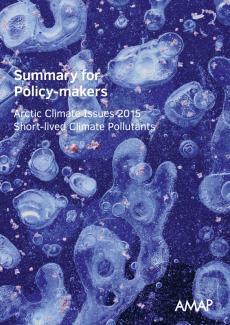 Description / Table of Contents: This document presents the Policy-maker’s Summary of the 2015 AMAP Assessments of Short-lived Climate Pollutants (Methane, Black carbon and Ozone). 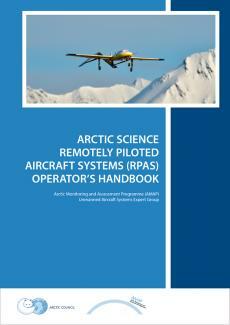 Storvold, R ; Arctic Monitoring and Assessment Programm ; Sweatte, C. ; [et al.] Ruel, P. ; Wuennenberg, M. ; Tarr, K. ; Raustein, M. ; Hillesøy, T. ; Lundgren, T. ; Sumic, M.
Description / Table of Contents: As we move from the era of the Millennium Development Goals (MDGs) to the Sustainable Development Goals (SDGs) it is important to consider how development agendas are set, the progress that has been made over the past 15 years, and how current debates are shaping global development efforts for the next 15. This book was, produced as part of a University College London-London International Development Centre research collaboration entitled, "Thinking Beyond Sectors for Sustainable Development". The aim of the book is to provide a concise introduction to the debates in a number of vital development sectors, review progress made in each sector, and to consider how looking beyond sectors might open new opportunities for inclusive, sustainable development. Each chapter in this book was produced collaboratively by academics from a wide number of disciplines. As such, it represents a truly interdisciplinary and inter-sectoral effort, of the kind that will be necessary for successful development and implementation of future international development goals. 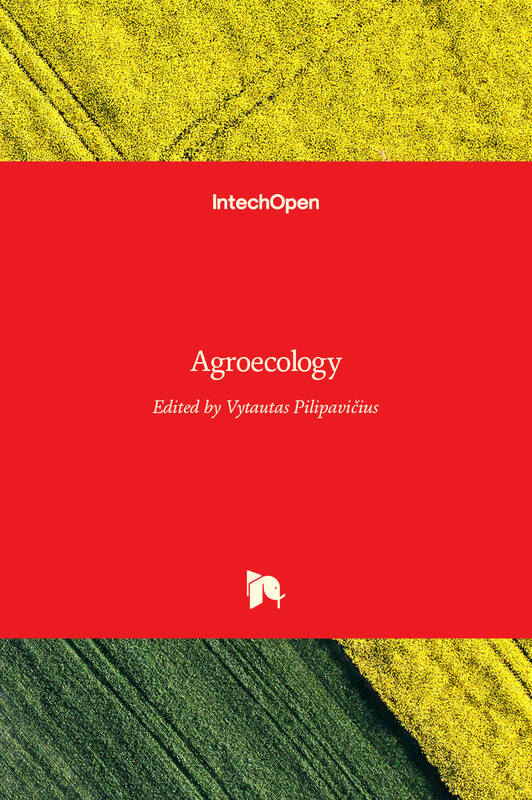 Description / Table of Contents: This book is a collection of chapters, concerning the developments within the Agroecology field of study. The book includes scholarly contributions by various authors pertinent to Agricultural and Biological Sciences. Each contribution comes as a separate chapter complete in itself but directly related to the book's topics and objectives. The target audience comprises scholars and specialists in the field. 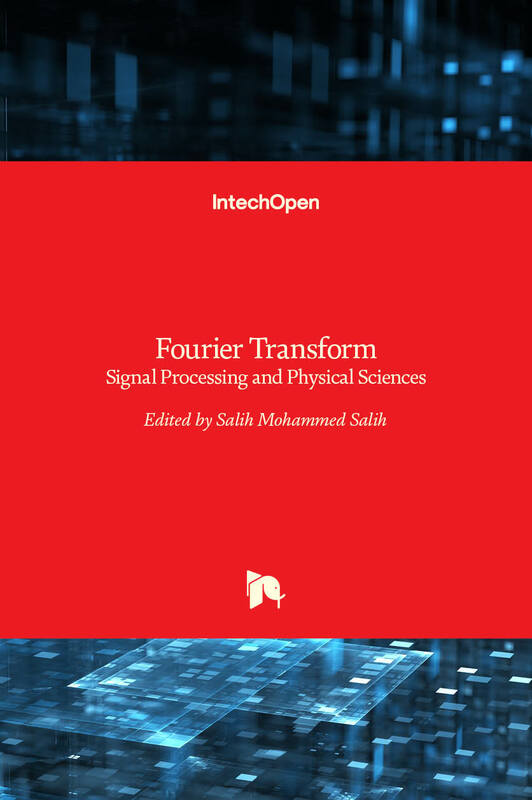 Description / Table of Contents: The application of Fourier transform (FT) in signal processing and physical sciences has increased in the past decades. Almost all the textbooks on signal processing or physics have a section devoted to the FT theory. For this reason, this book focuses on signal processing and physical sciences. The book chapters are related to fast hybrid recursive FT based on Jacket matrix, acquisition algorithm for global navigation satellite system, determining the sensitivity of output parameters based on FFT, convergence of integrals of products based on Riemann-Lebesgue Lemma function, extending the real and complex number fields for treating the FT, nonmaterial structure, Gabor transform, and chalcopyrite bioleaching. The book provides applications oriented to signal processing and physics written primarily for engineers, mathematicians, physicians and graduate students, will also find it useful as a reference for their research activities. Geological Society (London, U.K.) ; Da Silva, A. C. ; Whalen, M. T. ; [et al.] Hladil, J. ; Chadimova, L. ; Chen, D. ; Spassov, S. ; Boulvain, F. ; Devleeschouwer, X. Description / Table of Contents: Magnetic susceptibility (MS) is a tool frequently used by geologists on sediments or rocks to perform correlations and sea-level or climatic reconstructions. Applied measurements are made on unoriented, bulk samples and bulk MS is mostly influenced by the magnetic mineral content of the rock and often interpreted as influenced by detrital inputs. Magnetic data acquisition is fast and straightforward and this allows the high-resolution sampling needed for palaeoclimatic research (e.g. spectral analysis). However, the link with detrital inputs is not always preserved and the impact of diagenesis on the final MS signal can blur primary information. This volume includes contributions dealing with the origin of the magnetic minerals, and the application of MS as a palaeoenvironmental or palaeoclimatic proxy and also as a tool to provide astronomical calibration in order to improve the chronology of selected time intervals. Description / Table of Contents: Hydrothermally influenced microbial habitats and communities represent a much wider spectrum of geological setting, chemical in-situ regimes, and biotic community than the classical examples from basalt-hosted black smoker chimneys at active mid-ocean spreading centers. Hydrothermal vent ecosystems now include hydrothermally heated and chemically altered sediments, microbiota fueled by serpentinization reactions, and low-temperature vents with unusual menus of electron donors. Novel marine provinces and hydrothermal areas are being charted and explored, such as new hydrothermal vent systems in the Arctic, around Antarctica, in the Western Pacific and in the Indian Ocean. Novel environmental gradients and niches provide habitats for unusual or unprecedented microorganisms and microbial ecosystems. The discovery of novel extremophiles such as Aciduliprofundum and the Nanoarchaeota underscores that hydrothermal vent microbial communities can no longer be characterized as assemblages of only “typical” sulfur oxidizers, methanogens and heterotrophs. Different stages of hydrothermal activity, from early onset to peak activity, gradual decline, and persistence of cold and fossil vent sites, correspond to different colonization waves by microorganisms as well as megafauna. This research topic will continue to stretch the limits of hydrothermal vent microbiology, and also provide a forum for the chemical and microbial linkages of hydrothermal vents to the ocean water column and the ocean crust or sedimentary subsurface. Description / Table of Contents: In the last several years, much has been written about growing economic challenges, increasing income inequality, and political polarization in the United States. 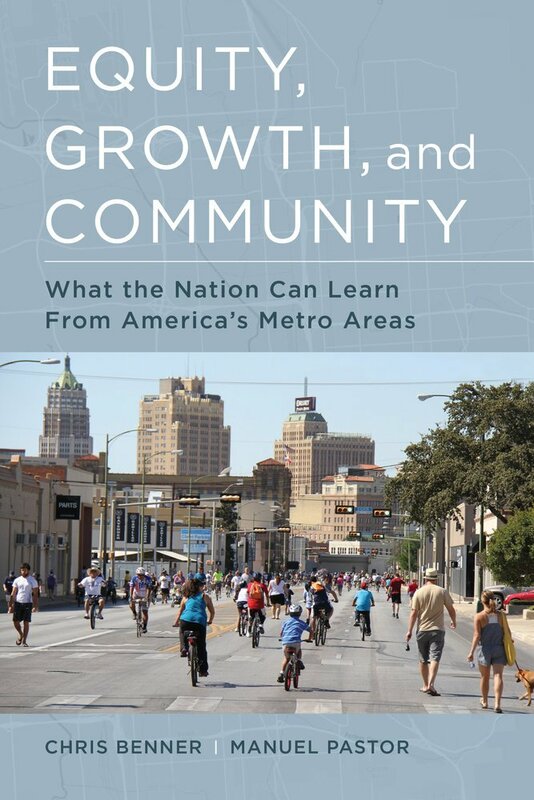 Addressing these new realities in America’s metropolitan regions, this book argues that a few lessons are emerging: first, inequity is bad for economic growth; second, bringing together the concerns of equity and growth requires concerted local action; and third, the fundamental building block for doing this is the creation of diverse and dynamic epistemic (or knowledge) communities, which help to overcome political polarization and to address the challenges of economic restructuring and social divides. Rink, W. Jack ; Thompson, Jeroen W. ; Heaman, Larry M. ; [et al.] Jull, A. J. Timothy ; Paces, James B. Description / Table of Contents: This volume provides an overview of (1) the physical and chemical foundations of dating methods and (2) the applications of dating methods in the geological sciences, biology, and archaeology, in almost 200 articles from over 200 international authors. It will serve as the most comprehensive treatise on widely accepted dating methods in the earth sciences and related fields. No other volume has a similar scope, in terms of methods and applications and particularly time range. Dating methods are used to determine the timing and rate of various processes, such as sedimentation (terrestrial and marine), tectonics, volcanism, geomorphological change, cooling rates, crystallization, fluid flow, glaciation, climate change and evolution. The volume includes applications in terrestrial and extraterrestrial settings, the burgeoning field of molecular-clock dating and topics in the intersection of earth sciences with forensics. The content covers a broad range of techniques and applications. All major accepted dating techniques are included, as well as all major datable materials. Description / Table of Contents: ‌Cities drive economic growth but can also drive sustainable change. As the share of the world’s population living in cities rises, ambitious action in urban areas can be instrumental in achieving long‑term sustainability of the global energy system – including the carbon emission reductions required to meet the climate goals reached at COP21 in Paris. Support from national governments is a strategic prerequisite for leveraging the potential for sustainable energy technology and policy in cities that too often lies untapped. With global energy demand set to become even greater over the coming decades, Energy Technology Perspectives 2016 (ETP 2016) looks at the technology and policy opportunities available for accelerating the transition to sustainable urban energy systems. Such potential could be the key to successfully driving an energy transition that many still think impossible, provided that local and national actions can be aligned to meet the sustainability objectives at both levels. Indeed, policies still have a long way to go in this regard: ETP 2016 presents the annual IEA Tracking Clean Energy Progress report, which finds once again that despite some notable progress, the rate of needed improvements is far slower than required to meet energy sector sustainability goals. By setting out sustainable energy transition pathways that incorporate detailed and transparent quantitative analysis alongside well-rounded commentary, ETP 2016 and its series of related publications have become required reading not only for experts in the energy field, policy makers and heads of governments, but also for business leaders and investors. Rabinovich, Alexander B. ; Geist, Eric L. ; Fritz, Hermann M. ; [et al.] Borrero, Jose C.
Description / Table of Contents: This is the first volume of a collection of essays focusing on progress in tsunami science since the great tsunami of 26 December. A magnitude Mw 9.1 earthquake (third strongest ever instrumentally recorded) generated a global tsunami that killed about 230,000 people along the coasts of 14 countries in the Indian Ocean and propagated as far as the North Pacific and North Atlantic. Since then, various countries from around the globe contributed major funding to tsunami research and mitigation, enabling the installation of hundreds of new high-precision instruments, the development of new technology and the establishment of more modern communication systems. As a result, incredible progress has been achieved in tsunami research and operation during the ten years after the 2004 Indian Ocean tsunami. The papers presented in this first of two special volumes of Pure and Applied Geophysics reflect the state of tsunami science during this time. Eight papers are related to case studies highlighting regional hazards around the globe, while five papers record progress in tsunami warning systems. Benchmark studies that describe the accuracy of numerical models for tsunami impact, as well as a variety of inundation and generation studies, are presented by 7 additional papers. Perugini, Diego ; Kruhl, Jörn H.
Description / Table of Contents: Chaotic dynamic systems and non-linear processes, together with the resulting fractals and multifractals, are fundamental for analyzing data and understanding processes in the Earth and Environmental Sciences. Many processes and phenomena, poorly recognized only a few years ago, now can be studied and understood with the help of conceptual models from the fields of fractals and dynamics systems. This represents a bold step towards understanding how planet Earth works. The twenty-one papers presented in this volume reflect the state of fundamental and applied research on fractals and dynamic systems in Geoscience, from magma dynamics to geomorphology, from seismology to space science. 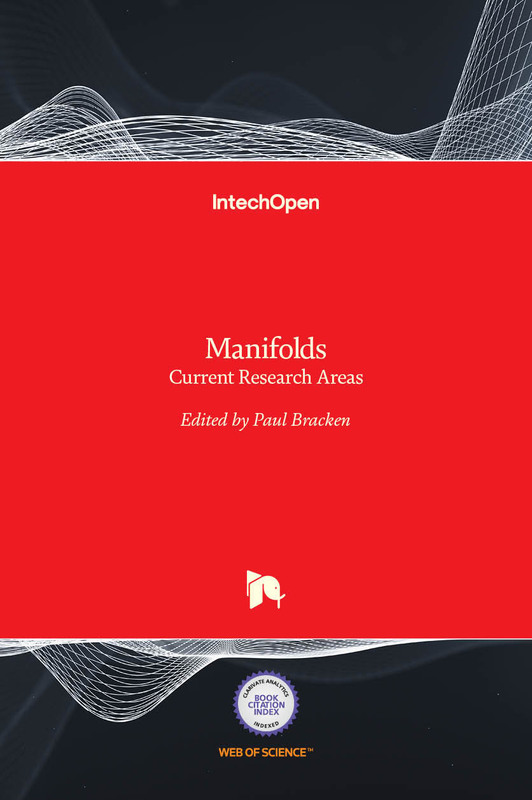 The volume is of interest to scientists using fractals, multifractals, non-linear dynamics and chaos theory for analyzing complex datasets, as those arising from geological and geophysical processes. Postgraduate students and students in various fields of geoscience as well as physics and applied mathematics will also find the book to be a valuable resource for a clear view of the leading-edge research on fractals and dynamic systems in Geoscience. Description / Table of Contents: The present topical volume presents a collection of contributions from a workshop that took place in Madrid in February 2014. Earthquake Early Warning System (EEWS) are a rather recent development in seismology that allows issue warnings to a site with a short lead-time about the impending arrival of the largest strong ground motion from an earthquake, after the first wave arrivals have been detected nearer to the source by adequate sensors. The Ibero-Mahgrebian region, containing Portugal, Spain, Morocco, Algeria and Tunisia, is subject to the occurrence of large earthquakes that may be followed by large tsunamis, as was the case of the Lisbon earthquake of 1755. Description / Table of Contents: This issue contains 16 papers, presenting work on tsunami hazards, earthquakes, and related computational infrastructure. The integration of multihazard simulations and remotely sensed observations is providing enormous benefits to earthquake and tsunami research. Earthquakes cause damage, but also generate tsunamis, which create additional damage. Remotely sensed observations coupled with geologic field measurements and simulations contribute to our understanding of earthquake processes, which is necessary for mitigating loss of life and property from these damaging events. This book focuses on assimilation of remotely sensed observations to advance multihazards simulation. This capability provides a powerful virtual laboratory to probe earthquake behavior and the earthquake cycle. Hence, it offers a new opportunity to gain understanding of the earthquake nucleation process, precursory phenomena, and space-time seismicity patterns needed for breakthrough advances in earthquake forecasting and hazard quantification. Description / Table of Contents: Increasing innovations and applications make microfluidics a versatile choice for researchers in many disciplines. 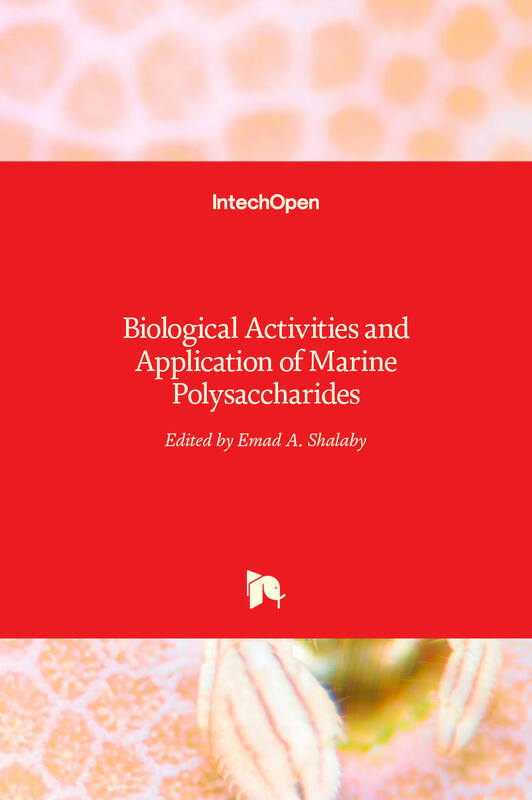 This book consists of multiple review chapters that aim to cover recent advances and new applications of microfluidics in biology, electronics, energy, and materials sciences. 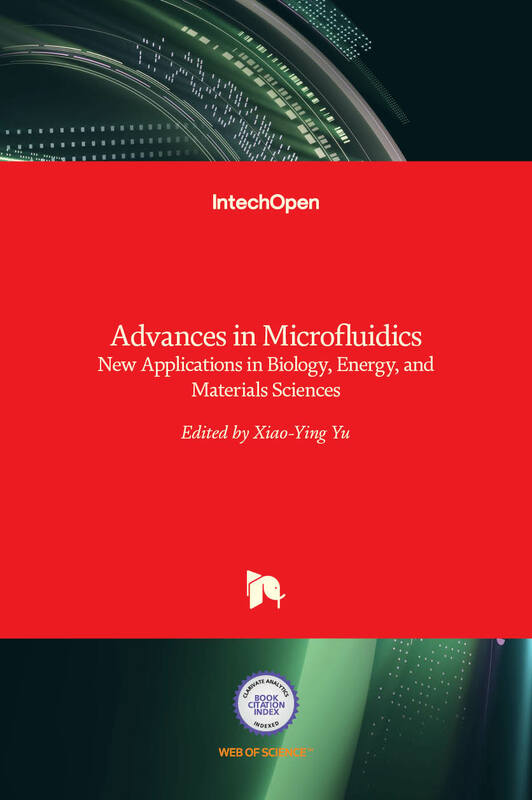 It provides comprehensive views of various aspects of microfluidics ranging from fundamentals of fabrication, flow control, and droplet manipulation to the most recent exploration in emerging areas such as material synthesis, imaging and novel spectroscopy, and marriage with electronics. The chapters have many illustrations showcasing exciting results. This book should be useful for those who are eager to learn more about microfluidics as well as researchers who want to pick up new concepts and developments in this fast-growing field. Description / Table of Contents: This volume consists of some papers presented at the AMS Symposium held to honor the memory of the late Professor Michio Yanai as well as additional works inspired by his research. By the nature of this volume, many of the contributed papers describe the development of tropical meteorology over the past half-century or so in connection with Professor Yanai’s influence on it. While most of the chapters address specific areas and discuss timely issues, in this prologue I will describe some of Professor Yanai’s contributions during the early period of his career from my own point of view. As this is a personal reminiscence, I would like to emphasize how Professor Yanai influenced me. Both Professor Yanai and I became graduate students at the University of Tokyo to begin our career as meteorologists in 1956 and 1957, respectively. Since we studied and worked together so closely for a long time, in this article I will call him Yanai-san as I have done in our personal interactions. Description / Table of Contents: Aerosols have a significant impact on technological processes and human activities. In many cases, aerosols are at the core of human health, environmental and technological problems (climate change and air quality). However, aerosols can be successfully used in industry and technology (new materials, fire suppression and fuel delivery). 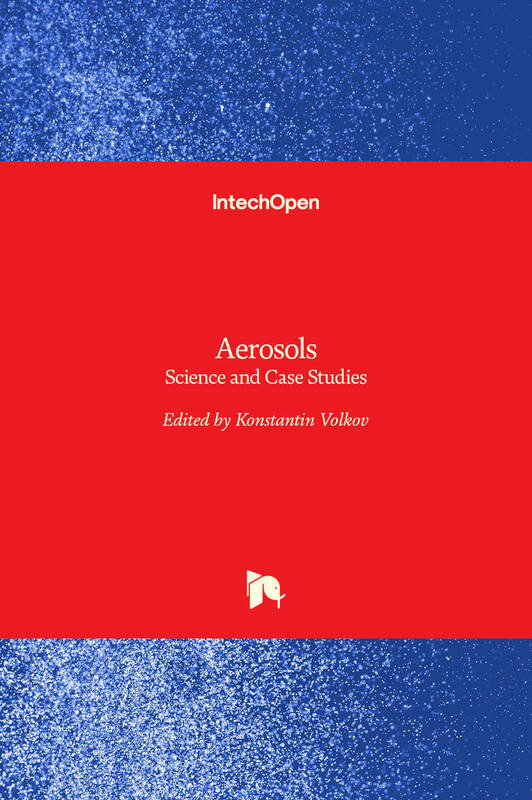 The current scientific status of aerosol modelling and simulation and measurements and some advances in computational techniques, particle measurement technologies and practical applications of aerosols are reviewed and considered in this book. This book also includes a number of case studies focused on analysis of optical thickness and air quality in various regions. Description / Table of Contents: Chapter 1. Earth's Climate System --- Chapter 2. Forecasting Global Warming --- Chapter 3. Paris INDCs --- Chapter 4. Implementation. Description / Table of Contents: Introduction --- Part I: Concepts and Methods --- Methods --- Institutional Framework of Taking Action Against Land Degradation --- Part II: Global --- Global Extent Of Land Degradation --- Ground-Truthing of Land Degradation Mapping --- The Global Cost of Land Degradation --- Global Drivers of Land Degradation --- ELD in Global Rangelands --- Part III: Regional --- ELD in Sub-Saharan Africa --- ELD in Central Asia --- Part IV: Country Case Studies: Cost, Drivers and Action Against of Land Degradation --- Argentina --- Bhutan --- China --- Ethiopia --- India --- Kenya --- Niger --- Russia --- Senegal --- Tanzania and Malawi.-Uzbekistan --- Part V: Lessons Learnt and Implications --- What Can We Learn from the Cost of Inaction Against Land Degradation? --- What Can We Learn from the Success Stories of Addressing or Preventing Land Degradation? --- What are the Low-hanging Fruits for Addressing Land Degradation?.-What the World Needs to do to Build Momentum of Addressing Land Degradation? Description / Table of Contents: Pattern recognition continued to be one of the important research fields in computer science and electrical engineering. Lots of new applications are emerging, and hence pattern analysis and synthesis become significant subfields in pattern recognition. 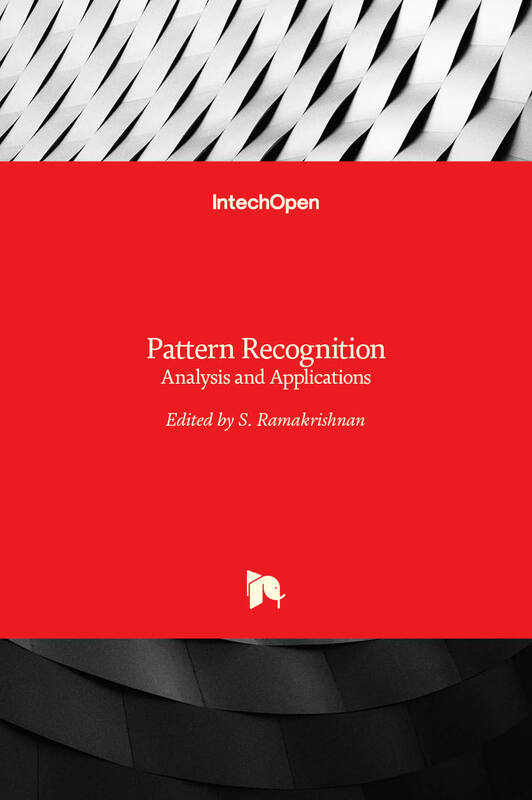 This book is an edited volume and has six chapters arranged into two sections, namely, pattern recognition analysis and pattern recognition applications. This book will be useful for graduate students, researchers, and practicing engineers working in the field of machine vision and computer science and engineering. Description / Table of Contents: Addressing the matter of air quality in a collection of focused scientific topic chapters is timely as a contribution to the international discussion and challenges of global warming and climate change. This book engages with the debate by considering some of the social, public health, economic and scientific issues that relate to the contribution made by airborne pollutants to the observable trending variances in weather, climate and atmospheric conditions. 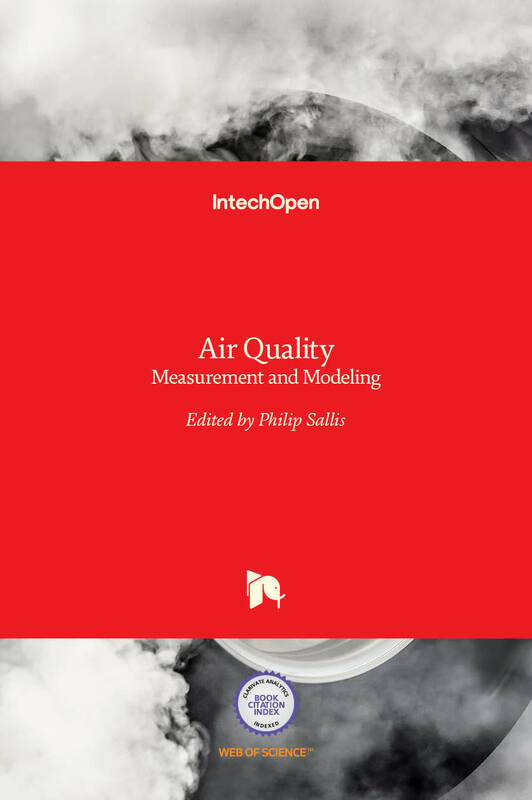 From a wide range of submissions for inclusion in the book, there are seven carefully selected chapters that individually relate to air sampling and analysis: the monitoring, measurement and modelling of air quality. The authors come from a range of academic and scientific disciplines, and each is internationally credited in his/her field. This book will appeal to scholars, to students and generally to those interested in the following contemporary thought in the matter of environment pollution, air quality and the issues of climate and atmosphere the world is facing today. Description / Table of Contents: The sustainable energy sources are potentially employed to substitute petrol fuels in transport engines such as buses and small vehicles. Hydrogen-enriched compressed natural gas engines are forthcoming energy carriers for the internal combustion engine, with higher thermal efficiency and less pollutant emissions. The different availability of renewables has allowed various countries to adopt the most appropriate type of renewable energy technology according to their energy source adequacy/abundance. In Taiwan, ocean energy is considered as an abundant source of renewables due to its geographical location as an island. The Taiwanese government has approved the investment to construct an MW-scale demonstration electricity plant. In this book, the Taiwanese ocean energy experience is comprehensively presented. The technical and legal analyses of ocean energy implementation are provided. The challenges that they had to overcome to optimize the utilization of the most available ocean energy potential are discussed. The sustainable transition in South Africa would be a good example for implementing rooftop solar, especially in low-income communities. Apart from the environmental benefits, sustainable energy technologies can boost the socioeconomic level of developing countries. Other advantages may be the continuous supply of energy and creation of new job opportunities. Moreover, sustainable renewable energy sources such as the wind could be employed for generating electricity to operate water purification systems in remote areas. This, in turn, would overcome the health problems associated with drinking water scarcity issues. 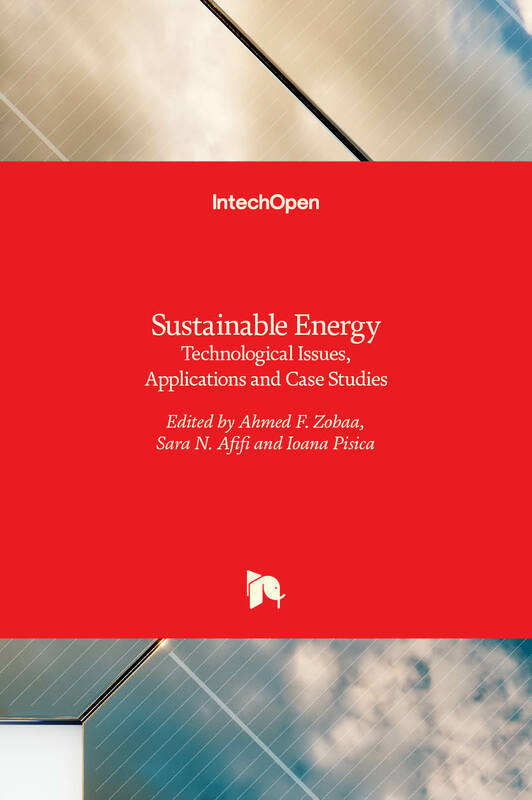 This book is an attempt to cover the sustainable energy issues from a technical perspective. Furthermore, the sustainable energy applications and existing case studies are helpful illustrations for the broad understanding of the importance of sustainable energy. 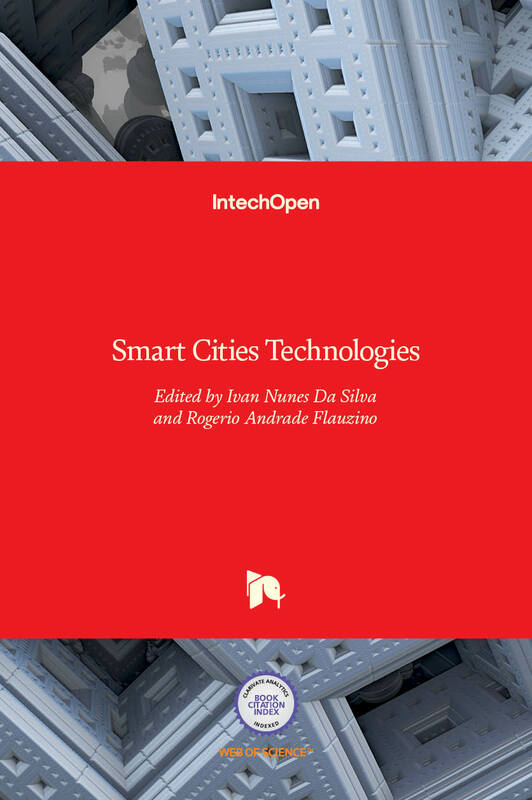 Description / Table of Contents: What are smart cities? What are their purposes? What are the impacts resulting from their implementations? With these questions in mind, this book is compiled with the primary concern of answering readers with different profiles; from those interested in acquiring basic knowledge about the various topics surrounding the subject related to smart cities, to those who are more motivated by knowing the technical elements and the technological apparatus involving this theme. This book audience is multidisciplinary, as it will be confirmed by the various chapters addressed here. It explores different knowledge areas, such as electric power systems, signal processing, telecommunications, electronics, systems optimization, computational intelligence, real-time systems, renewable energy systems, and information systems. Description / Table of Contents: Microwave systems are key components of every modern wireless communication system. The main objective of this book was to collect as many different state-of-the-art studies as possible in order to cover in a single volume the main aspects of microwave systems and applications. 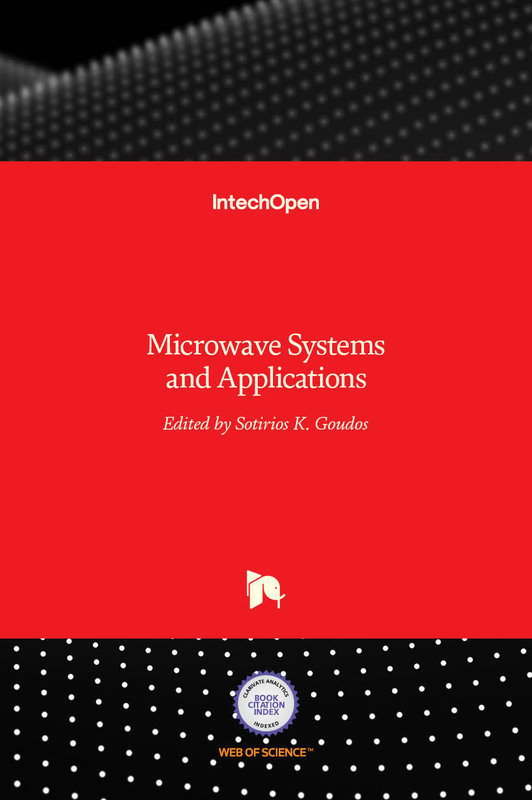 This book contains 17 chapters written by acknowledged experts, researchers, academics, and microwave engineers, providing comprehensive information and covering a wide range of topics on all aspects of microwave systems and applications. This book is divided into four parts. The first part is devoted to microwave components. The second part deals with microwave ICs and innovative techniques for on-chip antenna design. The third part presents antenna design cases for microwave systems. Finally, the last part covers different applications of microwave systems. Description / Table of Contents: Differential geometry is a very active field of research and has many applications to areas such as physics and gravity, for example. The papers in this book cover a number of subjects which will be of interest to workers in these areas. It is hoped that the papers here will be able to provide a useful resource for researchers with regard to current fields of research in this important area. Description / Table of Contents: As concerns increase over the scarcity of water resources and the role of anthropogenic activities, water quality is evermore important. Activities ranging from agriculture to mining have had a bearing on the quality of water that they impact. Several studies assessing such impacts have been conducted at local and global scales over the years. 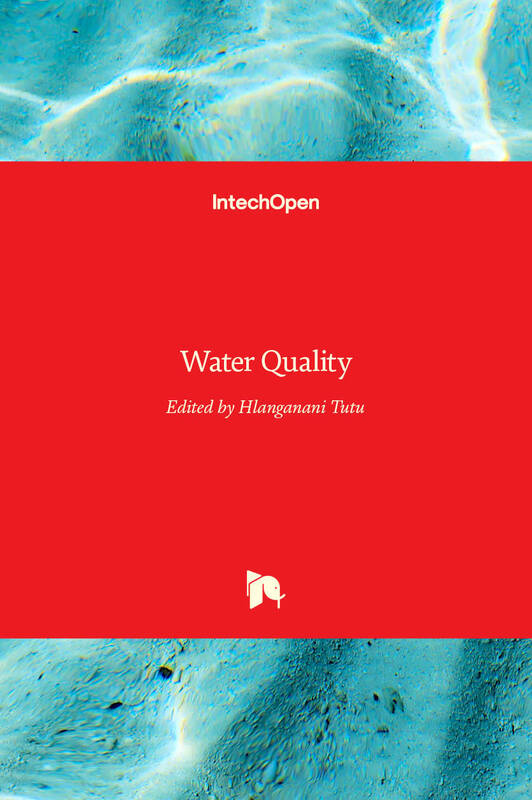 This book, consisting of contributions by authors in various water-related fields, delves into some approaches that are used to understand and/or to improve water quality, and these include assessment of water chemistry, biomonitoring, modelling and water treatment. This book will be useful to environmental scientists, water professionals, researchers, academics and students. Geological Society (London, U.K.) ; Duffin, Christopher J. ; Gardner-Thorpe, Christopher ; [et al.] Moody, Richard T. J. Description / Table of Contents: This book discusses energy efficient buildings and the role they play in our efforts to address climate change, energy consumption and greenhouse gas emissions by considering buildings and the construction sector's unique position along a critical path to decarbonisation from a multi-perspective and holistic viewpoint. Topics covered in the book range from daylighting, building topology comparison, building envelope design, zero energy homes in hot arid regions, life-cycle considerations and energy efficiency analysis to managing energy demand through equipment selection. 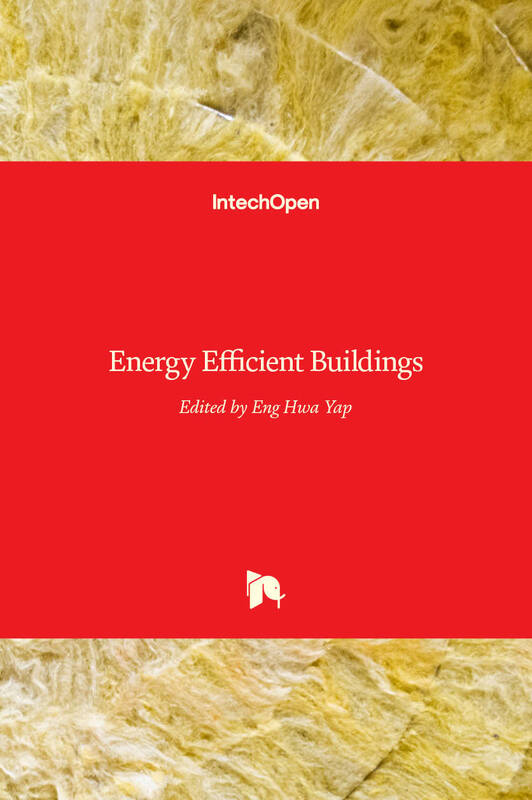 Each chapter addresses an important aspect of energy efficient building and serves as a vital building block towards constructing a timely and relevant body of knowledge in energy efficient buildings. Description / Table of Contents: Part I The Urban Heat Island – Evidence, Measures and Tools --- Forecasting Models for Urban Warming in Climate Change --- Assessment Indication and Gold Standard --- Methodologies for UHI Analysis --- Decision Support Systems for Urban Planning --- Part II Pilot Actions in European Cities --- Counteracting Urban Heat Islands: Solutions for European Cities. Description / Table of Contents: Introduction --- Part I Potted Review of Economic Theory: The Complex Evolving System --- 1. A Potted Review --- Part II Early Days: From Personal Awareness to Group Commitment --- 2. A personal story of awareness and perception --- 2.1 My first awareness breakthrough --- 2.2 Layers of awareness --- 2.3 My second burst of awareness --- 2.4 Defining a new society for myself --- 2.5 Key human values --- 2.6 Inside = outside --- 2.7 To be and to do --- 2.7 Welfare or wellbeing? --- 2.8 Business transformation --- 2.9 Leadership versus management --- 2.10 STIR Foundation - City of Tomorrow --- 2.11 Sustainocracy --- 2.12 City of Tomorrow --- 2.13 The Amsterdam internet congress --- 2.14 Key elements that define “sustainocratic” AiREAS --- 2.15 AiREAS --- 2.16 Commitment first --- 2.17 Territorial focus --- 2.18 Local AiREAS Eindhoven --- 2.19 First things first --- 2.20 Making visible the invisible --- 2.21 From idea to project --- 2.22 Conclusion about the coming about of AiREAS --- 2.23 Link with ethics and economies --- Part III “The Invisible made Visible”: science and technology --- An introduction by Marco van Lochem --- 3.1 The ILM --- 3.2. Variables measured --- 3.3.3. Instrumentation --- 3.3.1 The Airbox --- 3.3.2 PM (PM10, PM2.5, PM1) sensor --- 3.3.3 UFP sensor --- 3.3.4 Ozone sensor --- 3.3.5 NO2 sensor --- 3.3.6 Temperature sensor and relative humidity sensor --- 3.3.7 Electromagnetic compatibility (EMC) --- 3.3.8 Experiences and recommendations --- 4 Data quality --- 4.1 Regular calibration and preventative maintenance --- 4.2 Experiences and recommendations --- 5 Locations and spatial sampling --- 5.1 Experiences and recommendations --- 6 Data management --- 6.1 The Airbox --- 6.2 Axians (1) --- 6.3 ECN --- 6.4 Axians (2) --- 6.5 Experiences and recommendations --- 7 Results --- 7.1 Initial tests of sensors --- 7.2 Evaluation of sensor precision --- 8 Scientific projects based on the ILM --- Part IV Experiences after 5 years of AiREAS and 1 year of ILM --- 9. The way things work at AiREAS --- 9.1 The workflow in AiREAS --- 9.2 Financial routine in AiREAS --- 9.3 Confidence based interaction --- 9.4 October 2013 general AiREAS participants meeting --- 9.5 Interpreting the ILM data --- 9.6 The transition --- 9.7 Communication --- 9.8 Benchmarking and referencing our practical ideologies --- 9.9 The royalty system --- 9.10 Some of the transformative issues --- 9.11 Conclusion. Index. Description / Table of Contents: Introduction --- The Jordan Valley --- Projections And Objectives --- Meeting The Strategic Planning Objectives --- The Year 2050 --- Final Conclusions And Recommendations --- Colophon. Description / Table of Contents: Today, sustainability of a healthy freshwater ecosystem and its associated ecosystem services are hot issues with ever-growing attention placed upon them. We are increasingly recognizing that they are crucial for the survival of the aquatic biota and human beings on our planet. The efficient monitoring of water resources is fundamental for effective management of water quality and aquatic ecosystems. The first stage in sustainable ecosystem management is the evaluation of the current status of target ecosystems. Traditionally, and even today, physico-chemical parameters have mainly been used to evaluate the quality of water resources. However, they have a large limit to grab the wholeness of water system, particularly in the sense of ecosystem health and integrity, for which ecological monitoring should be based on biological factors. Various approaches are applicable to ecosystem health assessment at different levels of the biological hierarchy, from genes to ecosystems. This Special Issue is designed to improve scientific understanding and strategies for sound aquatic ecosystem management and services for researchers, decision makers, and stakeholders. Description / Table of Contents: Teil 1: Globale Klimaprojektionen und regionale Projektionen für Deutschland und Europa --- Teil 2: Klimawandel in Deutschland: Regionale Besonderheiten und Extreme --- Teil 3: Auswirkungen des Klimawandels in Deutschland --- Teil 4: Übergreifende Risiken und Unsicherheiten --- Teil 5: Integrierte Strategien zur Anpassung an den Klimawandel. Description / Table of Contents: Hydrogen is one of the abundant elements on earth majorly in the form of water (H2O) and mainly as hydrogen gas (H2). Catalytic hydrogenation is a key reaction that has versatile applications in different industries. 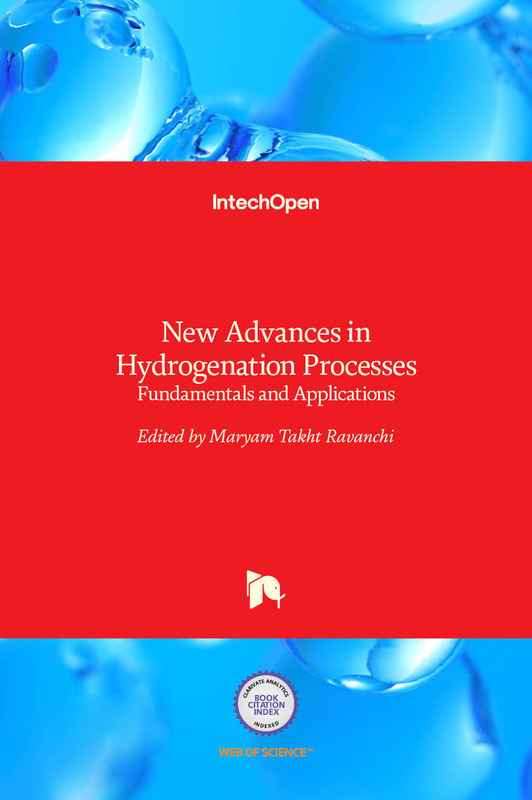 The main objective of this book is to bring together various applications of hydrogenation through the perspective of leading researchers in the field. This book is intended to be used as a graduate-level text book or as a practical guide for industrial engineers.